AMS Performance has been in the Mitsubishi Evolution aftermarket for a number of years. They have had some very fast drag and time attack Evo's. 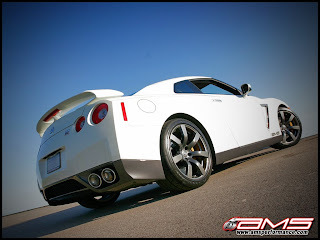 A while back, I remember a friend that works at AMS calling me and asking some questions about the new GT-R. I was wondering when I would see a Project GT-R from them, and here it is. They even have a pretty quick KA powered Nissan 240.